It is not often I get to do such an easy post. This time I could be seen as being bias since I stared in the show so I decided to ask one of the audience to write me a review and sticking with integrity here it is verbatim. Two weekends ago, we saw over 60 people driving up a long winding forestry road, all heading to the place where “The Biology of Biochar Event” workshop would be held. When the guests arrived, Charmaster Dolph and his partner Jillian humbly greeted them to their home. In the first session Charmaster Dolph thoroughly explained and walked through the anatomy of what is and how biochar works. He explained all of the benefits of integrating biochar into the new ecological way of farming. The second session saw a more hands on approach, the showing of how to properly create and charge Biochar. The fire was formed and bio char was created right before the guests eyes. Everyone was thoroughly intrigued. Hugh Lovel, multidisciplinary scientist and the “god father of quantum agriculture” graced us with his deep insightful session on the interaction between all elements and minerals, building soil, and the importance of carbon. Hugh answered the guests questions with ease, helping them comprehend the new way of farming. Next up to the plate was “Fermenting guru” Sharbari Bird Lovel, with her hands on approach, she explained how weeds aren’t bad, they are actually indicators and creators of elements that are missing in the soil. Sharbari also taught how to ferment weeds into a brew, to give the soil the elements it is deficient in, thus getting rid of the weeds. NTS founder Gramae Sait shared with us his views on humus and it plays a vital in sustainable farming. He stressed that loss of humus is critical, and drastic measures need to be taken to grantee food supplies in the coming years. Throughout the day the guests were treated to amazing food, a scrumptious morning tea with various fruits and wide selection homemade cakes. Lunch time saw all 64 guests happily tucking into self-created wraps, salads and a hot cup of pumpkin soup. A great turn out to complement a great day, one full of learning, fun and amazing people. With everyone walking away with so much more knowledge than before, “The Biology of Biochar Event” workshop was an undeniable success. and here is some of the feedback I received on the email again verbatim. Hearing Hugh and Shabari talk, wow! what did you dislike ? Pumpkin soup ran out to quickly! 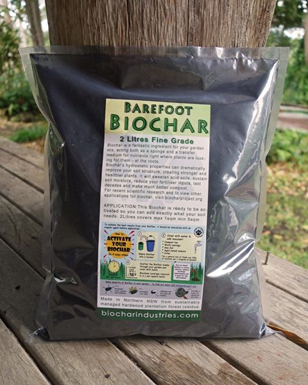 Did you get your free bag of biochar? No, but I intend to make some. I don’t have the big steel rings so i’m going to dig a hole in the ground with my little excavator and make it in that. Did you see the Mature Death Adder Snake ? Yep, I can’t believe it didn’t bite the dude who ran up and stood next to it!!! What was the standout thing you learnt on the day ? Biochar locks up nutrients but leaves them available, perfect for use in a high rainfall area like ours… BUT you have to ensure it absorbs the right minerals/fungi otherwise it exacerbate existing problems. I want to know more about plant gestures, that knowledge is gold!!!!!!!!! I want to learn how to read the signs on my farm that indicate nutrient/mineral deficiencies. I don’t like that I have to rely on a lab (and spending money) to constantly find out what is happening in the soil. Thanks again Dolph for hosting the day and sharing your knowledge on biochar. A quick response, it was great. 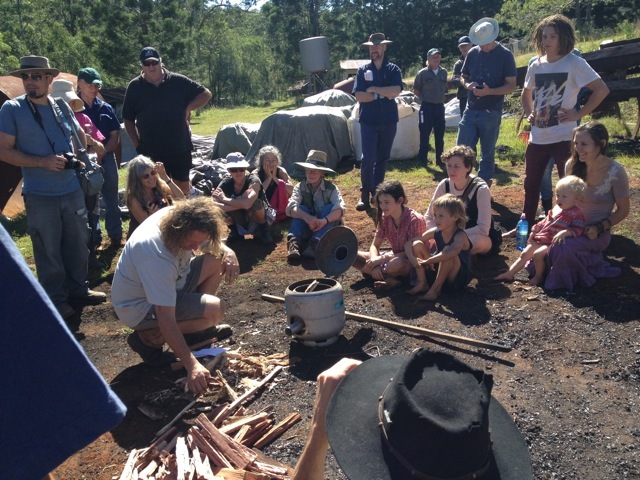 I learnt a lot, and now feel confident I could explain simply to anyone how biochar works. Now I just have to try it out for myself – although I have always added any charcoal I have to my compost, which made it to my garden eventually. Unfortunately missed out on my free sample, as I had to go before the wrap up, but I’ll make some anyhow, and try that. The catering was great, the people were friendly, the snake was …. Deadly. Good morning Dolph, and thank you for a wonderfully inspiring day yesterday. I only took a few photos, and I’m sure you will have many more capturing the full essence of the day. First of all I loved the fact that your communication was efficient from the start- the instructions on how to find your place were clear and easy to follow. The yellow biochar signs confirmed I’d taken the right turns. This start to any workshop is very important as you arrive feeling relaxed and ready for what’s ahead! Dolph, you have an energy force that radiates happiness and enthusiasm. You have the ability to communicate concepts and share information through your drawings, diagrams and obvious knowledge. There should be more teachers like you! You made the links through simple explanations that can only be done if the knowledge is already well and truly developed in your own brain. You held my interest throughout- even with the wind and techno interruptions! Hugh also shared the passion of his interests, and with a biochemical background, has the knowledge to apply to his farming methods. I was able to visualise what he was saying about the different minerals and will certainly do more reading on that now. As you said Dolph, listen, ask questions, and then do your own research. What I didn’t like was the fact that I had to leave at 2:30 so missed the presentation by Graeme Salt. I will certainly watch the TED talk. I was there when the death adder was spotted but didn’t really check it out. I’m happy with pythons up close! The food was fantastic, as was the location to enjoy it in the shade of the trees. Loved the homemade biscuits at morning tea and the freshness of the food at lunch. I enjoy it when people who already have a likemindedness about a topic can get together and share interests and ideas. Yesterday provided this opportunity. 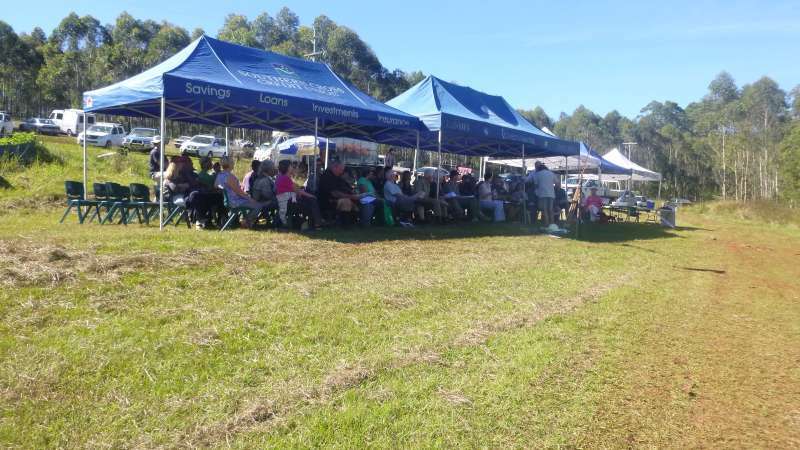 Listening to the speakers but also chatting to the guy from The Men’s Shed, the guy from SoilLife , etc etc is comforting knowing that we are heading in a more sustainable direction and that this can only grow as more and more people become aware and share their passion. Thanks again for your enthusiasm, communication and links to further reading. Thanks for fabulous workshop yesterday, remarkable combination of speakers including yourself. Please thank those in the kitchen the food was amazing. Ray will make contact regarding a local workshop if that is possible. Jennifer (from the Drake Group). > What did you like ? I liked Graeme and Hugh’s talks – and the food! > Did you get your free bag of biochar? – sure did! Late start – an issue with ALL events not just this one. Starting time should be starting time – having made the effort to be there on time don’t like hanging around for people who ‘might’ still be on their way. If we are late to an event – our problem – we miss what we miss, we don’t expect everyone to wait nor expect a ‘re-cap’ of what we’ve missed. Would have preferred two sessions only with more in-depth plus more time for questions, thought 4 sessions with such diverse topics was too much (for us) for one day. Yes we did and thanks very much, it was ‘activated’ overnight and out in the vegie garden this morning. Excellent – compliments to all involved. Thanks again for a great day and the opportunity to be involved. hi Dolph, we loved Saturday, all together you are such a great team, and what practical, applicable knowledge you all conveyed…..real synergy at work ! Please send me the Digital download of Biochar book you mentioned. Also, where is Seamineral available….I think I heard $1 a litre ? Thanks so much for hosting the event on Saturday – I wish I could’ve stuck around for longer, I was loving it!! Hamish should have collected all the feedback forms and will be emailing them through to me today. From that I’ll have everyone’s contact details so will send them on to you. Cool? How did the rest of the day pan out? It always takes me a bit of time to join the dots but I feel it has happened. I have a son-in-law in a national management role with Woolworths. I expressed my concerns to him last year regarding the issue of Coal Seam Gas Exploration and production, and he obviously listened. After the ink was dry on the contracts, he told me that one of his tasks had been to sign up a source for Woolies own brands (Home and Select) of spring water. He had done his homework and accepted supplies from a farmer whose farm was not situated near an existing exploration area. The terms of the contract included that the farmer would never allow CSG on his property. What if Woolies could change its brand thrust from “the fresh food people” to “sustainable food for the future”. They may take some convincing, but my SOL has heaps of integrity and may be the right person to help move them into a new direction. Of course, this would require the help of Graeme and his TED speech. If he can convince Dole or perhaps Doll? Corp. in America then why not Woolies in Australia. It would also be a carrot for them if they felt they would be first in Australia to move in this direction and may, therefore, capture more of the customer base (I feel this would be their bottom line thinking – tied into profit and share value, but we may need to work with what we have, and that will surely have to change over time). If I could give my SOL a copy on audio tape/s or CD’s, he could listen in the car (he travels 1.5 hours both to work and from work every day so this would be a time effective way of helping to get him onto the bus). He would not have time to read screeds of printed material, there are not enough hours in his day for that. Perhaps Graeme could follow up with a presentation if it went in that direction. Also, Woolies is in the process of rolling out its Hardware chain (I think it is being called Masters but not absolutely sure) as competition for Bunnings, so it is a big project for them. My SOL is not involved in this project but, as he works in the areas of both finance and commerce, would know those who are. What if Biochar could be sold at Masters? What if the Mens’ Shed at Labrador could link with other Mens’ Sheds with a view to higher production of the rocket stove? What if Masters could give links to customers of where to buy a bio-char digester? Alternatively, what if Masters could market them also at the right price? What if Masters could be the first of its kind to sell liquid bio-char boosters for home gardeners? Bunnings already sell worm farms, so moves are already being made in composting/soil remediation directions. If Masters was willing to set up a sustainable food production section, they may be willing to sell Shabari’s book on ferments. You can probably see the number of possibilities here. You may be able to think of other streams of possibilities. For me it is all about joining the dots and coming out with a strong web of links to take forward. I attended the workshop yesterday with the group from Drake and have many of the plants growing which would be suitable for ferments e.g. Tobacco bush, comfrey, dandelion, nettle, mullein, spurges, etc. These are common in our area. We are situated in Tenterfield Shire, the Shire acknowledged as having the greatest on the ground fuel load in NSW by the Rural Fire Service, so we have the resources here for a lot of Biochar production. I am going to research today for plants/weeds containing selenium and molybdenum, the missing links so far. I realise only trace quantities of many elements are required (including the Boron from Spurges). Thank you and the other speakers for lighting the fire. Hope your both feeling happy and healthy. Thanks again for a great couple of days. Sign me up for the HFHCCP. That is the one with Hugh right? I liked seeing some of the younger people and the presentation was overall really good. Maybe Hugh doesn’t have to talk about all his so much??? Saw the snake from a far. That Hugh knows a bus load of stuff about farming that needs to get out to as many in the area as possible! I look forward to mucho moro contact, discussion and perhaps a bend of the elbow or two in the very near future! Thank you, thank you, thank you Dolph and all those who put this beautifully integrated day together; it was totally exhilarating. I don’t remember ever seeing my mother so enthralled and so deeply enlivened by the palpable love sensed from everyone on that glorious day. · Every individual there, including every one of the speakers who humbly shared their extensive expertise, knowledge and lifelong passion for nurturing our planet Gaia, and so humanity. · The food – so delicious and wholesome. · Seeing Dolph neatly bag the big Death Adder – phew. · Not knowing how long the dirt track would be before we reached the Biochar Project site. It was our first time there. And then it didn’t matter anyway once we got there. Now I know it’s about 3.5kms, right? · No, we probably didn’t wait around long enough after the chairs and tents were dismantled. · Graeme Sait said it more eloquently; YES, we are indeed effectively moving the goalposts for the new Earth as was palpably evident by the selfless energy of all present on this blessed day. SO wow this show rocked and I would like to thank in no paticular order. Paul Tait of Gaia Films for the Awesome recording of the event. Gillian Tubbs and Paul Scott for the Fabulous food. Shabari Bird of Quantum Agriculture for her insights to fermenting weeds.